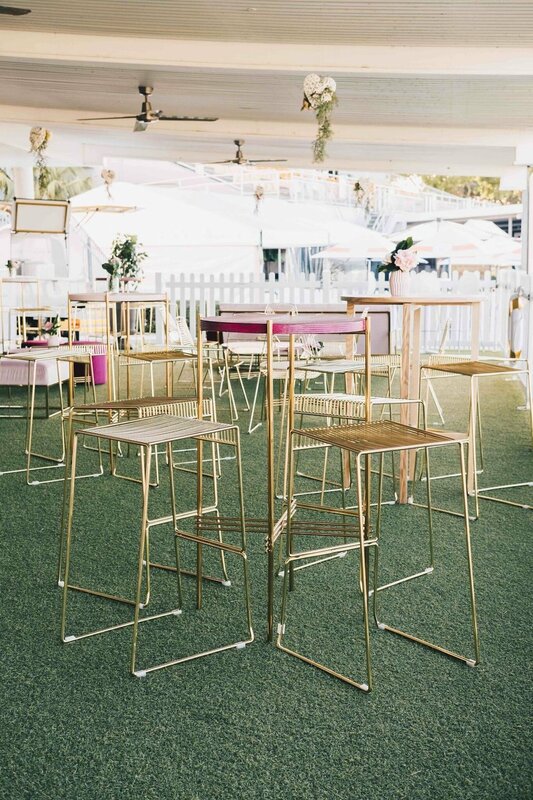 When it comes to unique wedding venues with a difference, the Brisbane Racing Club would have to be one of our top picks. With iconic Heritage-listed buildings, beautiful photo backdrops and a dedicated wedding team on board, we’ve been lucky enough to work frequently at the Brisbane Racing Club for some truly beautiful weddings and events over the last few years. We recently spoke to wedding coordinator Sarah from the BRC to learn a little more about the venue, including her top wedding planning tips to help create an unforgettable celebration! If you’re currently hunting for the perfect Brisbane wedding venue for your own big day, keep reading to learn more about the different options available at this seriously unique space. What kind of weddings are best suited for the Brisbane Racing Club? Brisbane Racing Club can accommodate everything from small intimate occasions to larger weddings. We’re suited for those couples that are interested in a venue with a point of difference! What sets our venue apart is the uniqueness of our spaces. The Tote Room has been around since 1913 and was previously used for punters attending the races to place their bets. With the original tote windows, exposed brick and polished timbers floors, the room definitely offers old world charm! It’s a space that will never change and can offer timeless photos from such a memorable occasion. The Tote room also hosts a museum in the ceiling which is perfect to entertain wedding guests in-between ceremony and reception. The Society Rooftop is tucked away in one of Eagle Farms oldest grandstands. This venue has recently been refurbished and now offers an elegant reception space catering for intimate sit down dinners as well as large cocktail receptions. 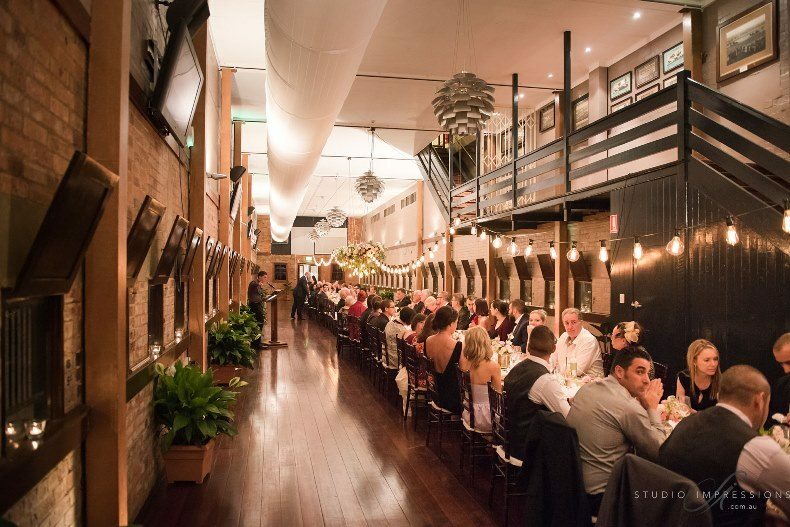 Eagle Farm racecourse offers couples unique photo locations, including the old grandstands, exposed brick tunnels, leafy surrounds and horse stables. You can get all your photos at one location. We offer the complete package – ceremony, pre-dinner drinks locations, reception space and photo opportunities! Tell us a little bit more about the different spaces available at the Brisbane Racing Club? We have two main wedding venues. First, The Society Rooftop. This is an elegant indoor area featuring luxe black and gold furniture and chesterfield lounges, and a stunning astro turfed rooftop space. The Rooftop also includes a fairy light canopy overlooking illuminated fig trees, pre-dinner drinks area and racecourse views. We also have The Tote Room available for weddings and events. This is our Heritage Listed original Tote Building, featuring 18-foot ceilings, natural worn brick walls, polished timber floors and elegant festoon lighting. The space also includes two outdoor deck verandahs, pre-dinner drinks area, built in audio equipment, a dance floor and beautiful bridal suite. For ceremony locations, we have the Stradbroke Plaza. With a backdrop of the beautiful horse stables, this location offers a unique and picturesque setting. Our second option is the Fig Tree: Located next to the Tote room, this space flows nicely from ceremony to reception. 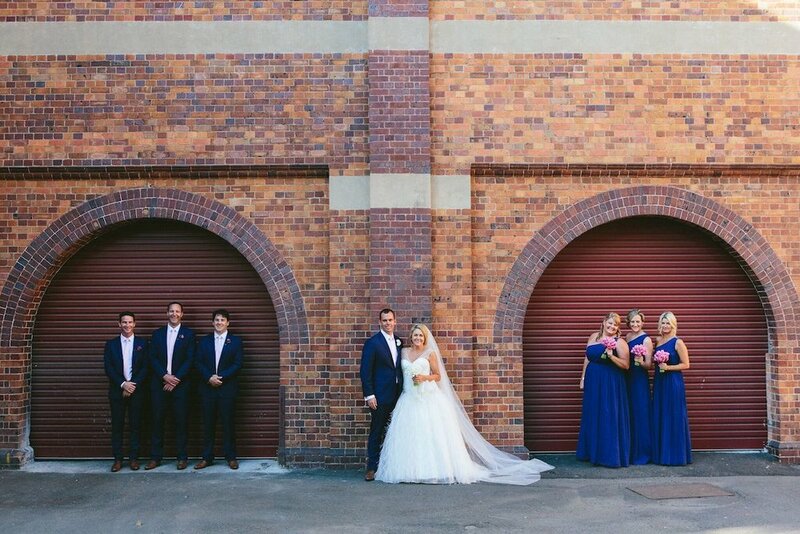 Stand under the Heritage-listed fig tree while you say ‘I do’ with a background of exposed brick grandstands and leafy surrounds! Do you have a favourite memory from a BRC wedding? My ultimate favourite memory of all weddings is watching the grooms face when he sees his bride! It’s such a special moment for all couples. What would be your top tip for couples searching for the perfect wedding venue? Trust your gut feeling. Ensure the venue feels right for the both of you, and that your coordinator is someone that you can build a friendship with or is approachable! Finding the venue is the hard part - however, once that’s booked in, the rest is easy sailing. The process should be a memorable experience, so ensure you take your time and enjoy going to look at different venues! What about your best piece of wedding planning advice for engaged couples? Food and drink is almost the star of any wedding. I suggest and LOVE the idea of a feasting menu with all dishes served to the centre of the table and your guests sharing the food with each other. Not only is this a great conversation starter, it’s a menu that will certainly wow your guests! For seating, the seating plan itself is always a tricky one to juggle! I love the use of one long table - this not only creates a large dinner party vibe, but is also perfect to mix your family and friends together. For entertainment, my best piece of advice is to have live music. A band or DJ is SO interactive, will create a great atmosphere and will definitely get the party started! And finally, when planning your wedding timeline, ensure you leave yourself enough time to enjoy yourself without stressing about formalities. I suggest scheduling all speeches and cake cutting to take place during dinner service and while guests are eating. Leave your first dance to kick off the dancefloor after all other formalities are over! You can learn more about weddings at the Brisbane Racing Club via their website, or see more beautiful snaps on Instagram at @brisbaneracingclub. Currently planning your own Brisbane wedding? Get in touch with our team for a copy of our latest wedding furniture hire catalogue - we'd love to help you create the perfect furniture and decor plan for your event!